The latest figures for jobs and growth in Warwick have indicated the growing need for accommodation versus homes available will create a housing shortfall. 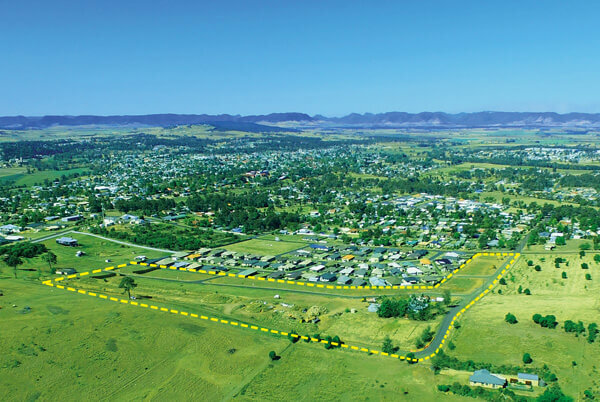 – See more Brisbane, Qld – MKM Groups Orchard Grove housing packages to alleviate housing shortfall predicted for Warwick. Michael Mladen Kljaic, CEO of MKM Group has long recognised Warwicks future potential, having invested during the past 12 years into development, civil work, construction and jobs in Warwick. MKM are proud to be part of Warwicks current and future success story says Mladen Michael Kljaic. We have thought outside the box to create more options for affordability, accommodation versatility and investment potential.The team at MKM Group anticipate a growing number of Tree Changers making the move to Warwick to fill the new positions being created in the next 2 years. Some of the great properties being offered include brand new 4 bedroom homes starting from $350,000, which is considerably lower than real estate prices in major cities.For those looking for an investment property, there are duplex pairs starting from just $466,000 allowing people to easily live in one and rent out the other. If you are looking for a higher return on your investment the larger stand alone 4 bedroom duplex pairs start at $615,000 and make a great alternative to the traditional single house on a block.